Records are meant to be broken, that is the essence of continued competitions, no German team has ever won the bundesliga 4 times in a row, that's the target of Pep Guardiola and his men. And what a way to kickstart the run, a 5:0 rout of Hamburg at the Allianz Arena benchmarked their record chasing season. 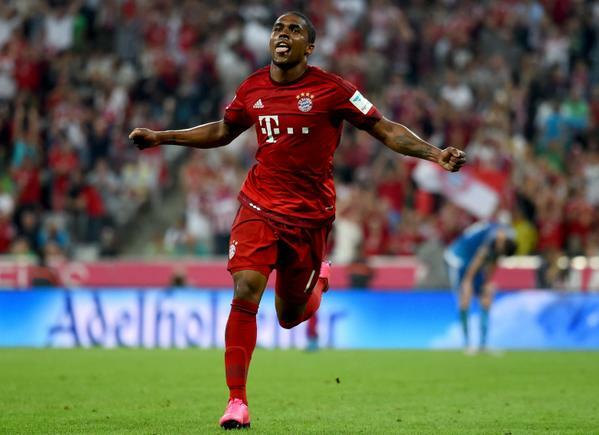 A dream debut for Douglas Costa was marked with a fine strike, joined by Benatia's opener, Lewandowski second and a Gerrard Muller brace, Hamburg would however take pride in the result still as it's the best they've achieved against a ruthless Bayern side shipped 9 and 8 past the visitors on their last two visits. It didn't take too long before Benatia shouldered in a Xabi Alonso cross in the 27th minute, it stood that way until a rampaging second half display tore Hamburg apart, tactically Hamburg were never going to near the hosts but they still defended well and had their flank men playing full backs all day to prevent the forays of Phillip Lahm and Arjen Robben who had a quiet night. An headed clearance fell generously to Lewandowski and he gracefully said thank you, Muller added the third after some fast paced football by new boy Costa and then the fourth. David Alaba was denied by Rene Adler with a full stretch but he was nowhere near Douglas Costa's curly finish at the death, beautiful start to the third bundesliga defense of the champions... Ain't no stopping them now! 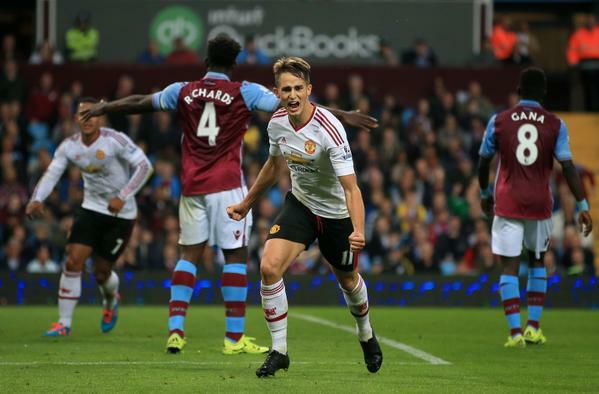 Whatever it was that Tim Sherwood planned with his men against a solid Manchester United side failed, yes they limited the damage to a solitary Adnan Januzaj strike, they offered little going forward with ambitious crosses that found no one, they needed to be reminded of the sale of Christian Benteke, the visitors did just enough to earn their second win in as many matches with a similar margin. Juan Mata directed played a beautiful through pass behind the defense and the young Belgian was on hand to guide it home for Manchester United's first goal of the season off their own boots having benefited from a Kyle Walker own goal in their opening day fixture. It obviously wasn't a pretty outing by any standard but it prepares the Red Devils for a midweek engagement in Europe against Club Brugge. Sometimes, actors dump the script to freestyle and follow discretion, that was the tale of the Spanish super cup last night. In what was meant to be a competitive warm up match for the multiple trophy winners from Camp Nou, they were shell shocked by a spirited stone hearted Athletic Bilbao side, maybe the hangover of Tribilsi, Georgia played a part, but shipping 8 goals in two matches over three days isn't a stuff of a true champion. Their hopes of equaling their 6 trophies in a year record was dashed effectively after shambolic defending in San Mames, downed them to earth and makes them feel human again. Having lost to Barcelona in May in their domestic cup final, San Jose stole the whole attention with a 40 yard belter that highlighted the entire first half, after Ter Stegan had poorly cleared into the middle and ball was headed to his path. Barcelona labored all half long to equalize and have themselves to blame for wasted opportunities after Suarez and Messi blasted wide on memorable occasions. A one handed save by Iraizoz from Lionel Messi's free kick was Barca's closest and it came on the stroke of halftime. Barcelona came out firing in the second half, midweek hero and United target Pedro smashed an effort against the upright before Iraizoz saved brilliantly again from Messi, it was all Barcelona at the point and Enrique sent in Iniesta in place of Rafinha, that was the change Bilbao needed to change gear. Aduriz rose above Mascherano to head home the second goal of the night and went on to complete his second half hatrick, his second was a beauty of a strike, he controlled Sussaeta's cross on his chest before sending a volley past Ter Stegan, then wrapped it up from the spot after Dani Alves hacked down San Jose in the box. Hopes of six titles in a year are up in flames and the defeat equalled Barca's heaviest ever defeat in over a decade.